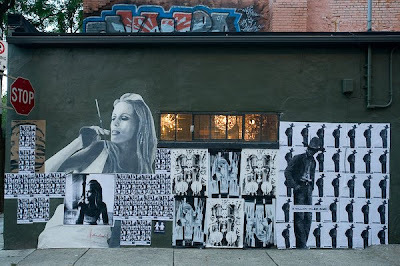 + + +: Fashionable Street Art. 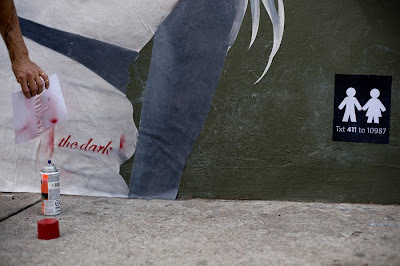 The Dark a street artist from Vancouver has been putting his mark on the city! I love this art meets fashion meets urban. I hope we see some of his stuff in New York! And as he says in the video he is fascinated with flickr fame... well here is his flickr make him famous! Love it -- adds instant syle.